Fall is coming!! Shop 29 FALL styles on sale now up to 45% Off! 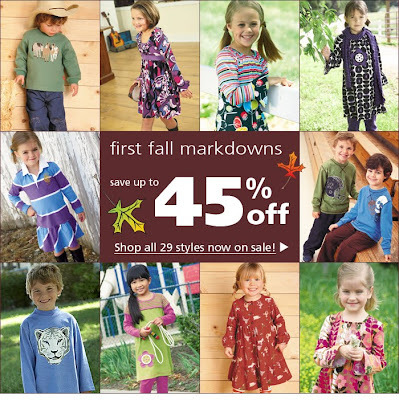 Click Here to start shopping our Fall Sale now! Update! As of August 1st, I am officially a dog owner! While doggie-sitting my sister and brother-in-law's adorable Australian terrier mix for 10 days in June, I realized I wanted one of my own. 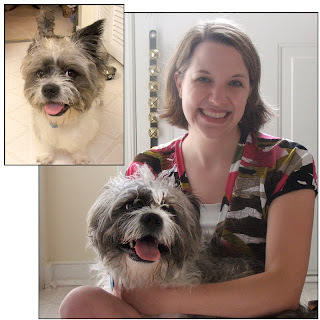 Searching the area's shelters, I fell in love with a dandie dinmont terrier mix named Kaboom! After adopting him, I quickly learned the reason for the name: this dog can jump high! I set up a baby gate to keep him in my kitchen while I was at work, but he fearlessly leaped over the 23" barrier in under a minute. I think I'm going to have to look into some agility classes for this pup! Ultimately I had to change his name; I just couldn't say "Kaboom!" with a straight face. He now goes by "Mosby," which also fits him perfectly. I grew up on Mosby Street, named after John S. Mosby. This Confederate commander was known as the "Grey Ghost," and what do you know? My dog is grey! Even though I thought it has only been a short time, I truly enjoy being a dog owner. I now take a walk everyday; plus Mosby always keeps me entertained! Who could resist those big brown eyes and crazy fur? After graduating from Virginia Tech in 2005 with a major in graphic design, I came to Richmond. With three years experience at the student newspaper advertising department under my belt, the position at a children’s clothing catalog was a perfect match. Working with children has always been something that came naturally to me. Throughout middle and high school, I volunteered for a summer preschool and helped at an afternoon program for underprivileged kids. 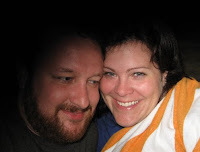 As CWDkids’ Art Director and one-half of the Creative Department, my days are never the same. I work on the catalogs, emails, ads, and create the webpage files. The images you see on the homepage are generally created by me; and sometimes I come up with their copy too! I also help with the photography, which includes ironing and crawling on the floor to style the clothes, as well as getting kids ready at photo shoots. I have been known to do a silly dance to help get the models laughing. Everyday, I still can be seen eating a turkey sandwich (with cheese, lettuce, and mayo) with pretzels, but now I prefer to play Bookworm instead of Spider Solitaire. My name Cathrine (with no e in the middle!) comes from my maternal grandmother, and my middle name Ann is from my paternal grandmother. I was Salutatorian of my high school graduating class. Ashley: Here is a great resource for parents sending their kids back to school from FamilyEducation.com. Get tons of tips and advice on everything Back-To-School: safety, a busy parents guide to raising successful students, hippest school fashions, lunch box ideas, and much more. Tracy: Tired of serving chicken nuggets and hot dogs? My husband and I love all kinds of food and really want to expose our daughter to many types of cuisine. Luckily for us, she has gone for it. Atypical kid food that she has tried lately and likes include anchovies and cilantro. Strangely enough, she does not like tomatoes or cucumbers though. Check out the Gastrokid Cookbook for ideas on how to make your kids fearless, unfussy eaters. Kara: I have a new baby in my house! She's 8 weeks old today and my husband and I couldn't be happier (or exhausted). The dog, however, is not as thrilled. Our 3 1/2 year old Labrador Retriever has not quite accepted the fact that there is a new person in the house who is taking priority. All that time we used to spend loving the dog is now spent with the baby as Berkley sulks in the corner. Here are some great tips on how to introduce your pet and your new baby to help ease the transition. It's easy to forget once the newborn arrives, but our pets were our first baby! "My daughter would love the Central Park Peasant Dress and red leggings...so cute! 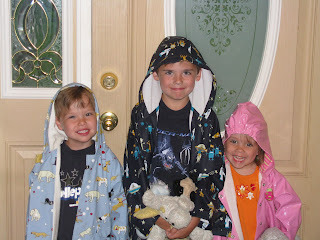 My son would love the dinosaur sweater and the aliens raincoat!" CWDkids is proud to offer two shirts from the Kidz b Kidz line this fall. Kidz b Kidz is a label with a heart. It is a non-profit organization dedicated to giving children a voice and a means to help other children battling serious illnesses. Armed with nothing more than crayons, markers, paints and determined purpose, young artists learn they can make a difference through their creativity. The finished products are truly inspirational, evoking the innocence, hope and cheerfulness of children that sends a strong and hopeful message: kids care and want to be a part of finding cures. The organization holds Kreative Kidz Workshops at schools, hospitals or community centers. The workshops are organized by Kidz B Kidz staff or older children. At these workshops, kids dive into the art supplies and create their best work. 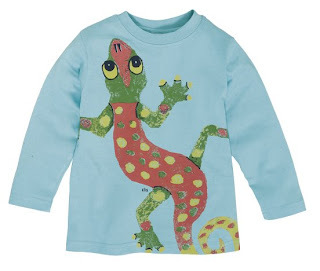 Kidz b Kidz blends these images together, incorporating them into colorful designs used in the sale of high-end products lines, including children’s apparel, tees, ceramics, note cards and more. Most importantly, kids learn how an image they create is incorporated into a design, used on a product, and then sold in stores to ultimately help sick children. When given the task of creating artwork to help other kids who are sick, children take their mission quite seriously. Their hope is to teach kids about empathy, the importance of helping others, and inspire them to continue to find ways to use their artful hands and generous hearts to do good in the world. All proceeds from the sale of Kidz B Kidz items benefit childhood cancer research and programs at Children’s Hospital Boston and CureSearch National Childhood Cancer Foundation. To purchase one of these tees, click here. For more information please visit http://www.kidzbkidz.org/. TODAY ONLY - These Lilly Pulitzer Fall Styles are 30% OFF! Nathalie is our President's niece. She loves to flip through the latest catalog and give him her opinion each season. 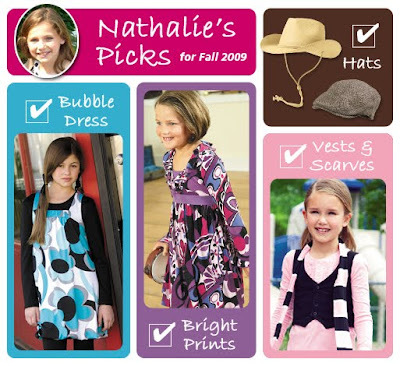 Take a look at her picks for Fall and let us know if your kids agree. If not, what are their favorites? 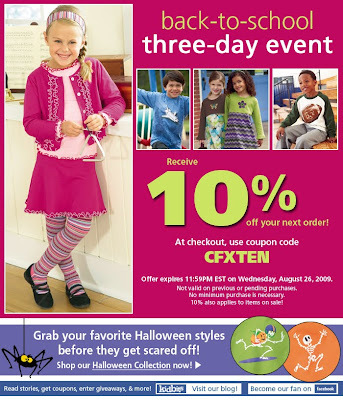 Enter code CFXTEN at checkout to receive 10% off your Fall order. Get ready for Back to School and Halloween and save if you order by Wed. Aug. 26 at 11:59PM. Did you receive our latest catalog in the mail? If not (or if you don't have it handy) you can always take a peek through it online. Click here to start flipping! 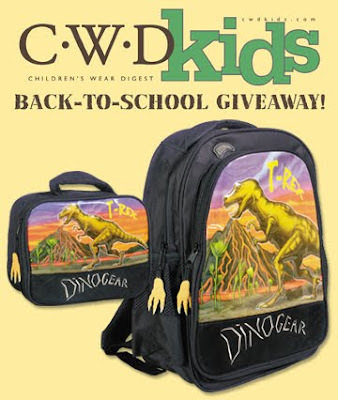 Also, don't forget to enter our giveaway to win a dinosaur backpack & lunchbox as well as a gift certificate. Brad and I have known each other for 14 years, but we never dated until last year when we were matched on an online dating site! Since then, we've enjoyed a year of traveling, duckpin bowling, and exploring antique stores. I can't wait to start our new life together and to dress our future kids in all the cute clothes I drool over at work! 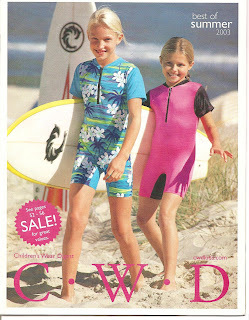 Diandra’s career has taken off after modeling for CWDkids. She has appeared in television shows, award-winning short films, major motion pictures, and music videos, such as the Jonas Brothers’ “Year 3000.” In addition to acting, last year she released her own album! Diandra, now age 18, will start her sophomore year at Loyola Marymount University, in California, this fall. We’re glad to hear that Diandra is still pursuing her acting and singing career and proud to have played a part! If you know one of our past models, we would love to hear what they have been up to. Email cathywdaley@cwdkids.com with photos and an update! Click here to see all of the Deals of the Day for Wednesday August 19, 2009! 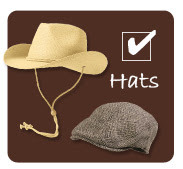 "My favorite new items are the capes! My grandson would love the red Super Hero Cape and when my granddaughter is big enough she would love the pink Princess Cape. I can see hours of imaginative fun in their futures!" 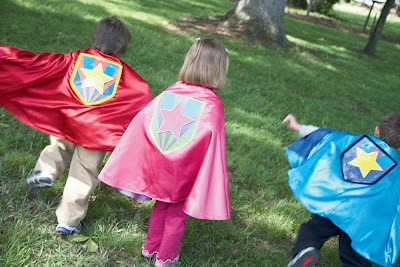 It is also the favorite pick from our CFO, Tracey, who has a 6 year old and 4-year old twins... she notes that she will have to buy three capes to avoid any arguments. Good thing there are three colors to choose from! 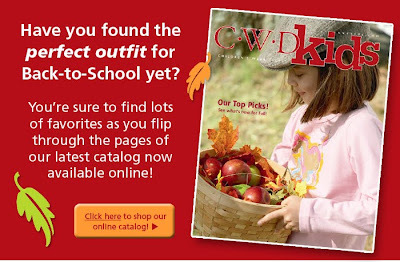 What is your favorite new item from CWDkids for Fall? Time Flies. That’s what I always remember hearing when I was growing up and until I had kids of my own I had no idea what all the fuss was about. Seemed like school lasted forever and I loved the lazy days of summer but now with 3 growing children I realize just how right everyone was. My oldest has just “graduated” kindergarten and my twins are starting preschool. I can’t believe they will be 4 this summer. In just over a year they’ll be old enough to start kindergarten themselves. What happened to those tiny babies I brought home from the NICU. I’ve been working with CWD for two years now and I still learn something new everyday. I can honestly say I don’t really miss tax season. Although there were moments where I did miss the craziness just a little. I’ve enjoyed being home every night to have dinner with the kids and talk about how their day went. They really do grow and change every day and I’m glad I have a schedule that allows me the opportunity to be a part of their lives all year round not just 9 months of it! I am the Chief Financial Officer for CWDkids, but I wear multiple hats...sometimes because I don’t know when and how to say no! I handle payroll and HR matters, prepare monthly financial statements, review cash position, review and approve bills for payment, manage shipping issues, handle requests for boxes from our vendors, negotiate with certain vendors, oversee issues related to our retail locations – including lease negotiations and review, file and pay monthly sales tax, and review all bills for proper classification and payment terms. When I’m not at the office I’m “working” at home chasing my 3 children, Michael 5 and twins Emma and Christian 3. Michael just started kindergarten this year so I look forward to being home for dinner each night and being able to talk about his day at school, look through his daily folder and keep in touch with what is going on with all my children. When they are asleep (ha ha) I love to read or just watch reality TV. I’m also a video game addict. I really enjoy playing games on my WII. I also enjoy the few quiet moments I get to spend with my husband Kennon. He is my rock and our family would not have made it through those tax seasons if he were not the man he is. He takes great care of our children and I love him very much. My favorite thing about working for CWDkids is the family friendly atmosphere. After coming from an environment where I worked a significant amount of overtime, the fact that I am home every night to see my children is very important. It is also nice to have the flexibility to work from home or adjust my hours as needed to adequately balance my work and family life. I have 2 big addictions, video games and reality TV. I watch most reality TV shows avidly especially Survivor. I’m a Garth Brooks groupie. I’ve seen him in concert in six different states. I was in Central Park for his free concert in New York. I’ve traveled as far south as Florida and as far west as Texas to see him in concert. My mom is a breast cancer survivor so breast cancer causes are near and dear to my heart. I’ve participated in the Making Strides against breast cancer walk here in Richmond since its inception. One of our customers was kind enough to share these great photos of her lovely twin granddaughters sporting coordinating Ralph Lauren dresses purchased from CWDkids. As some of you may know our CFO, Tracey, has multiples. 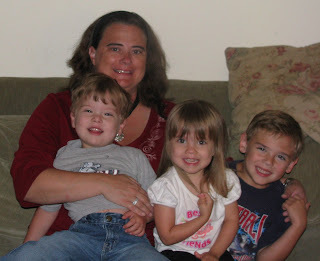 She says "I have discovered the joys, and challenges, of living with my boy/girl twins, along with their older brother. One of my challenges is finding the perfect coordinating outfits for those special family photos. I don’t dress my children alike on a daily basis but there are certain events I like to dress them in coordinates for the 'perfect picture'. I just think they look so cute together." We would like to hear from you. Do you like to dress your children alike, in coordinating outfits or just let them be completely different? What do you think of the brother/sister coordinate options we offer? How many of you have twins, triplets, or more? Jim: We thought you might be interested in seeing this Brooklyn, New York clothing manufacturer's factory. Most of our styles are Made in the USA. 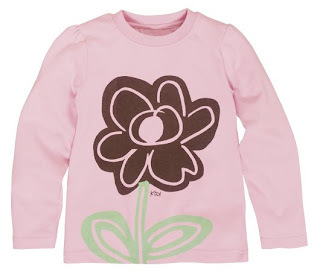 In fact, most of our CWDkids brand is actually made in Brooklyn, New York factories that look very similar to this one! Carol Marie: Since kids are going back to school, here is a great link for packing healthy school lunches. It also offers a link for family fun activities in their hot stuff section. Even though my son, Sammy, is not old enough to know what school is, I’m already preparing myself for planning healthy meals for times when I’m not around to keep an eye on what he’s eating. Ashley: Are you getting ready to send off your child to daycare, preschool, or kindergarten? The Kissing Hand by Audrey Penn is the perfect book to read to your little one to prepare them for school. After sending off three children, I have worn out my treasured copy. Click here to read more about the book on the Blissful Kids Blog! In my last update, I mentioned my youngest daughter Kate and I volunteer at The Children’s Museum of Richmond (C-MoR). We’ve volunteered at Carniball and for the 25th Birthday Party. On August 1st, Kate and I volunteered at Moonbounce Mania! Moonbounce Mania was to promote physical fitness and just plain fun! There were five different bounces spread out over the grounds, both indoors and out. Kate and I were in charge of a bounce that had a slide as well! While I stood outside the bounce and supervised the crowd, Kate was inside with the kids! She had to help some of the smaller children climb the ladder. Over 1100 children visited CMOR and I don’t know how many children visited during our four hour shift, but at the end Kate was one tired 13 year old!! This week Kate is volunteering at the C-MoR Summer Camp. There are eleven weeks of camp programs for three different age groups. Kate is helping out with the school age children (7-9) in Seymour’s Lab camp. The campers use all of their senses to make observations and predictions like a real scientist! They ooze, slime, crackle and create while applying math and scientific concepts. Yesterday they made “Glack” from Borax, glue and water. Kate brought some home-YUK to me but she loved it! I recommend volunteering in general, but if you can volunteer with your child you will be rewarded twice! We would love to know where you and your child(ren) volunteer. Comment and let us know! You've been waiting... so here it is! Our first Deal of the Day featuring Fall styles. Remember, these deals are good Wednesday August 12 only so hurry to take advantage of these rock bottom prices. This energetic 7-year-old lights up in front of the camera (sometimes with a little help from his dad standing behind the camera making funny faces!) Dad also gave him some tips on his "ninja" poses. Trevian is a big sports fan and is currently involved in football. Want to buy what Trevian is wearing? 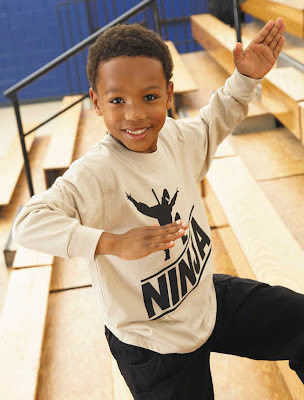 Click here for the Ninja Tee. Click here for the Space Sports Tee. Click here for the Football Tee. Cabot (on the left) modeled for us back in 2003. Cabot is now a rising freshman at Virginia Tech. She is planning to major in accounting. She spends summers as the head life guard at the Va. Power Boat Club and baby sitting, earning spending money for what else but CLOTHES!!! Cabot has a chocolate lab named "Clover". She will join her brother, Watkins, a rising junior at VT and has an older sister, Kate, at ECU. We got this update from her dad who just happens to be the sales rep for our current paper supplier. If you know one of our past models, we would love to hear what they have been up to. Email Cathy Daley at cathywdaley@cwdkids.com with photos and an update! We know many of you were following Kara's pregnancy updates. We are excited to announce that her baby has arrived... well, she actually arrive on July 2, but we are just getting around to posting some photos of Charlotte Kate today. Kara stopped by and let us meet her yesterday, and she is a doll! They are both doing well. We miss having Kara in the office, but hope she enjoys the time with her new little one. I am sure that she will post progress updates once she returns to work so keep reading. Tracy: Well, I have heard of the Tooth Fairy, but never the Homework Fairy. Since the school year is upon us, I thought this post from No Fuss Fabulous was very timely and very cute! Ashley: I know you don’t need anything else to do, but if you are looking for some ideas… I found this great list of 40 things to teach your kids before they leave home on the Serene Journey blog. From reading a map to creating a budget, this is a great guide for teaching children some important life lessons before they leave home. Carol Marie: Tie dying has been a long time summer fun activity and has once again become a popular style. This site shows step by step how to tie dye. A great activity to do with the kids! If you don't have the time to make these yourself, you can always buy terrific tie dye styles for every occasion from us! What do boys want for fall this year? ED HARDY tee shirts and backpacks! 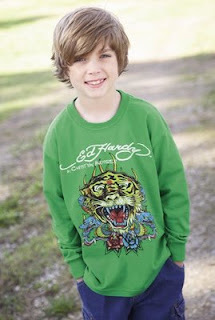 We are excited to introduce to you Christian Audigier for Ed Hardy, one of the trendiest new children’s designers. He is redefining boys’ street wear. Your boys will LOVE wearing his intricate art designs. His artwork is truly original! 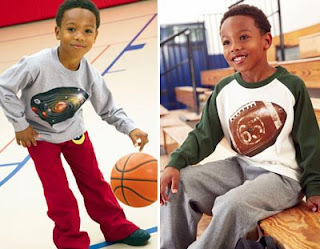 These shirts are the perfect addition to every boy’s school wardrobe. We know you will like what you see. This year's winner of the CWDkids Care campaign, 11-year-old, Devin McIntyre, designated the Make-A-Wish foundation of Michigan to receive a $5,000 donation from CWDkids. We just found out that his generosity has granted 3-year-old, Shelby of Michigan, the trip of a lifetime. In September, Shelby and her family will go to Walt Disney World in Orlando, Florida! This is a dream come true for a young girl living with a chronic intestinal pseudo-obstruction, a rare condition that affects her ability to digest food. This is a photo of Shelby in her princess outfit. We are SO EXCITED that we could join Devin and be part of this special gift. We wish the best to Shelby and her family and hope she sends us photos of her magical vacation! To learn more about our CWDkids Care Campaign, please click here. Scyler just finished second grade and loves reading! She wants to be a teacher when she grows up. Behind-the-scenes photo shoot secret: Scyler's feet are growing so fast; we only had one pair of boots with us that she could squeeze her feet into! So you will rarely see Scyler below the knee! Want to buy what Scyler's wearing? Click here for the green Circle Print Wrap Dress. Click here for the multi-colored Circle Print Dress. Click here for the Cloud Pajamas.